TALC, MAGNESIUM STEARATE, CYCLOMETHICONE, DIMETHICONE, PARAFFINUM LIQUIDUM, HYDROGENATED POLYISOBUTENE, BENZYL ALCOHOL, DEHYDROACETIC ACID. MAY CONTAIN (+/-): TITANIUM DIOXIDE (CI 77891), IRON OXIDES (CI 77492, CI 77491, CI 77499), CARMINE (CI 75470), CHROMIUM HYDROXIDE GREEN (CI 77289), CHROMIUM OXIDE GREENS (CI 77288), ULTRAMARINES (CI 77007), BLUE 1 LAKE (CI 42090), YELLOW 5 LAKE (CI 19140), FERRIC FERROCYANIDE (CI 77510), BISMUTH OXYCHLORIDE (CI 77163), MANGANESE VIOLET (CI 77742), YELLOW 6 LAKE (CI 15985). Formulated for long-lasting wear, Make-Up Atelier Eye Shadow delivers vivid color payoff with a smooth, easily blendable formula. 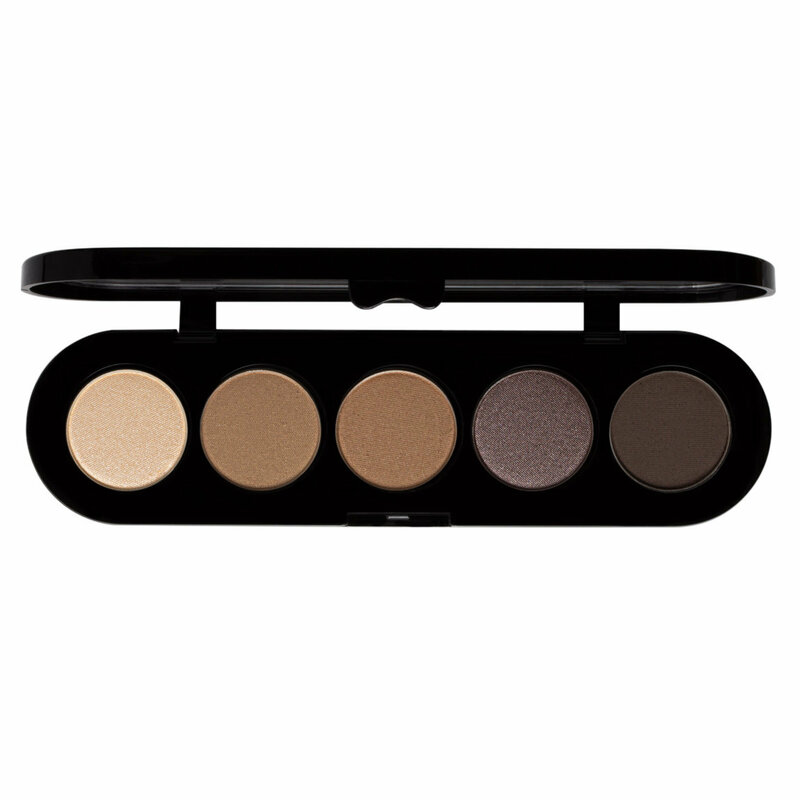 Each sleek, travel-friendly palette features five removable pans of pro-quality eye shadow in complementary shades. 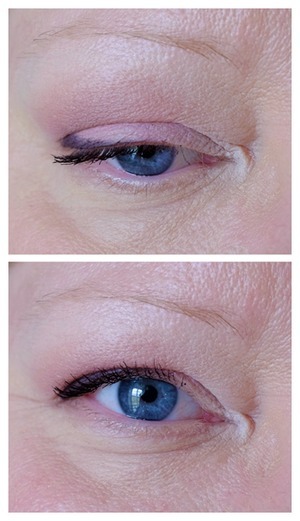 Dip your favorite eye shadow brush into pan and sweep across the eyelid, crease, or browbone. Use a blending brush to blend out lines as needed. 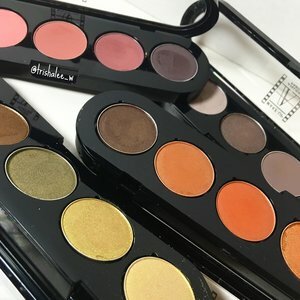 I'm so excited that Beautylish is carrying Makeup Atelier! I have T15 Honey Brown Tones, it reminds me Tom Ford's discontinued Eye Color Quad in Cognac Sable, but this is a much better deal. The eye shadow is pro quality, pigmented, easy to blend, long lasting. Any thing you can think about a good eyeshadow, this has it. Even I already got Natasha's big palette, I still want to own some of these for traveling. BTW, make sure you check out Makeup Atelier's concealer palette! I used it on my clients who have dry and dehydrated skin, it was perfect! Blended perfectly, not caky at all. Great price, pigmentation, wear time and color selection! I picked up 4 of these palettes (T15 Honey Brown, T18 Amazon, T19 Wood Pink and T24 Urban Grey. I have enjoyed using them and think they are a great shadow product. Out of the four T19 Amazon was the only one that was a miss for me. I like how flexible the pigments are, meaning some are pigmented but sheer, which means you can blow them out or pack them on depending on the look you are trying to create. I find them easy to blend, the palettes each are a complete look and tell a beautiful color story. They are a fantastic price for the level of quality and worth picking up several. These are definitely pro quality in pigment, packaging, longevity and the way they blend. I do think it would be very helpful to have a shade matrix though, because it would be nice to know which shades are mattes, sheers, shimmers, velvet's etc. 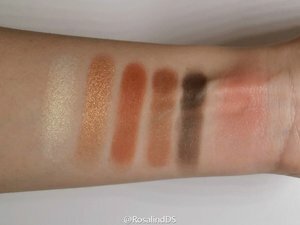 Because some of the shades I was expecting to be dark are really sheer versions of that shade, and some that looked like mattes in the pic have a sheen to them. More info is always appreciated! Guys, this eye shadow is wonderful! I have mature semi-oily skin, hooded eyelids and a tendency to have watery eyes, and this shadow still stays put. I bought T19 Wood Pink and T15 Honey Brown, and they both perform impeccably. The shiny fellas in the latter palette don't have as much staying power as the mattes in both palettes, but at least in my eyes they outperform the Viseart's shinier shadows, because they do not crease - they just fade away quite nicely (Viseart's shiny shadows crease on me, although they too last a long time on the lid). If I would compare the matte shadows in this palette to, say, Viseart's cool mattes, I think these are thinner. And I mean that in a good way. Both brand mattes are beautifully blendable and have excellent color payoff, but Viseart ones are a tad chalkier and thicker. This makes a noticeable difference to watery eyes, since Viseart matte shadows kind of "crack", when the tears start flowing, but Make-Up Atelier's do not. I love both brands to bits, tho, notably because of the Viseart's unbeatable color selection. Initially I though I would only buy these two palettes (T15 and T19) because their colors spoke to me the most, but now, knowing the quality and the awesome staying power, I just have to buy more. Goddamit. I first heard about this product from Wayne Goss he gives it a big thumbs up. So when Beautylish start carrying Makeup Atelier I decided to give it a try! So glad I did because it is an awesome product. Now I'm not a makeup artist or anything but I know a good shadow and this is it. Blends well great pigmentation and great qualit. I'm so happy with my purchase! This is the best product in terms of eye shadows that I ve tried so far. Colors are very pigmented and they last all day long!!! They have a soft texture, apply easily I wouldn't trade them for any other eyeshadow in this world (and i have tried most of tgem CD, YSL, MAC, etc). Gorgeous colors, blendable, limited fallout. I am absolutely loving this line! I've already bought two and plan to buy more. I'm 60+ and this is absolutely the best eyeshadow I have ever used! Beats Chanel, Natasha Denona, Jane Iredale, and many other high end lines. I tried the Gilded Tones palette which is all neutral matte shades. I'm very picky with my matte shadows because I find that many brands that offer matte shadows don't blend easily or properly and it can be really frustrating. These took no effort whatsoever, all these shades blend together beautifully and create the perfect ombre effect. Also, the beige/tan shade in the middle is the PERFECT transition color and the chocolate brown to the right of it is absolutely gorgeous. I was very impressed with the long wear of these shadows as well. Can't wait to try other colors! I loved everything about these shadows. Pigmented, buttery, smooth, a bit powdery, but definitely tolerable. The only 'cons' I noticed to these were they lasted at full pigment for maybe about 5-6 hours and you could see if you blended too much, you could blend the shadow away. Primer a must! ...Still definitely beautiful and enjoyed this particular color scheme. Now I want to order them all. The colors are really bright and last all day. They are so smooth and easy to apply.